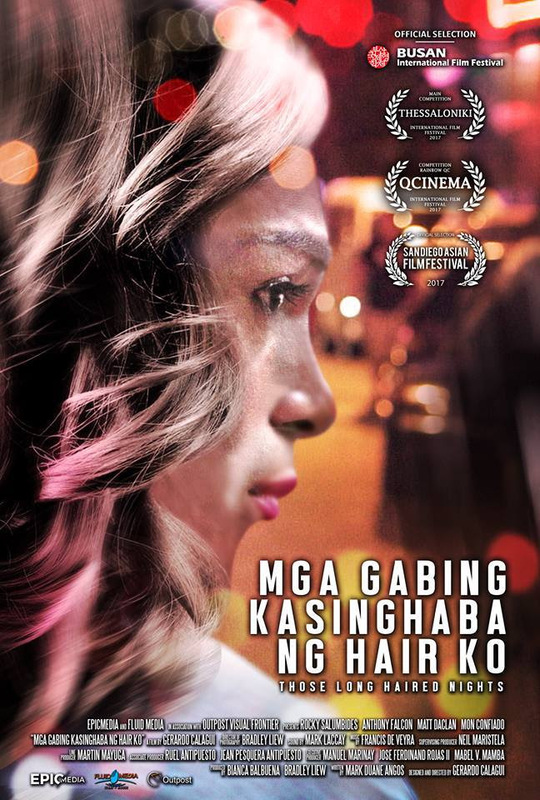 A CONTROVERSIAL FILM, about transgenders who ply the Burgos Ave. red light district in Makati as cross-dressing prosties, is slated to be shown in several international filmfests. 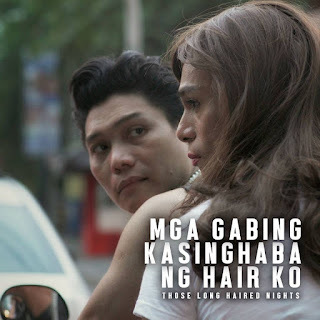 This is “Mga Gabing Kasing Haba ng Hair Ko”, whose English title for the international market is “Those Long Haired Nights”. This is the full length directorial film debut of Gerard Calagui, who has previously worked as a production designer and directed TV commercials and advocacy films for schools. The film first goes to the Busan International Filmfest starting October 12 in the Asian Window section where it will have three screenings, then it goes to Honululu for the Hawaii International Filmfest later this month where it will be in competition. In November, it will be an entry at the Thessaloniki Filmfest in Greece, the Brisbane Filmfest in Australia, and the Taipei Golden Horse Filmfest in Taiwan. It will also have its U.S. premiere in the San Diego Asian Filmfest this coming November. In Manila, it will be shown in Quezon City theaters as part of the QCinema International Filmfest from October 19 to 28.